Members of the Gang Prevention Unit in Manchester, New Hampshire arrested a man Saturday for possessing a stolen car and stolen pistol -- a discovery they made after they began investigating him for selling drugs. 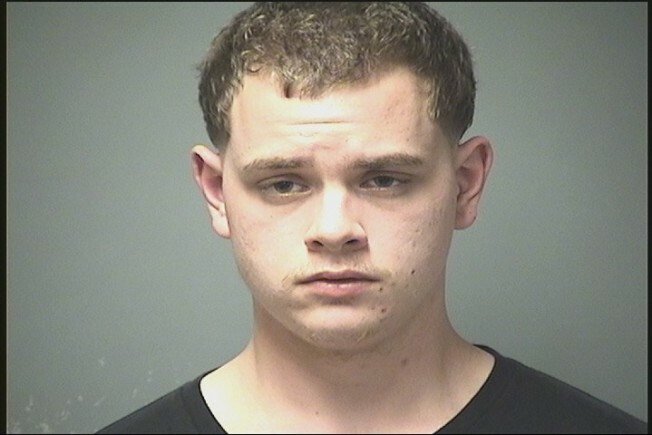 Manchester police said in a statement they had a warrant for Rafferty Libby, 19, for sale of an unnamed drug, and arrested him Saturday as he got out of a taxi near where they had been surveilling him. During the arrest, police determined he had also been driving a car that was reported as stolen by Enterprise Rental Car, and was found in possession of a Ruger 9 mm pistol, which had also been reported as stolen earlier in Manchester. Libby was charged with the original warrant and with two counts of receiving stolen property, a felony. It’s unclear if he has an attorney.